Time can be critical when transporting goods, but when workers are put under deadline pressure, accidents happen: spillages, crushed feet and fingers, damaged backs or worse. Some of the trickiest items to remove from a sea container or lorries are drums and barrels, but ensuring safe working practices means using the right equipment for the job – in this case, a fork lift drum handling attachment. 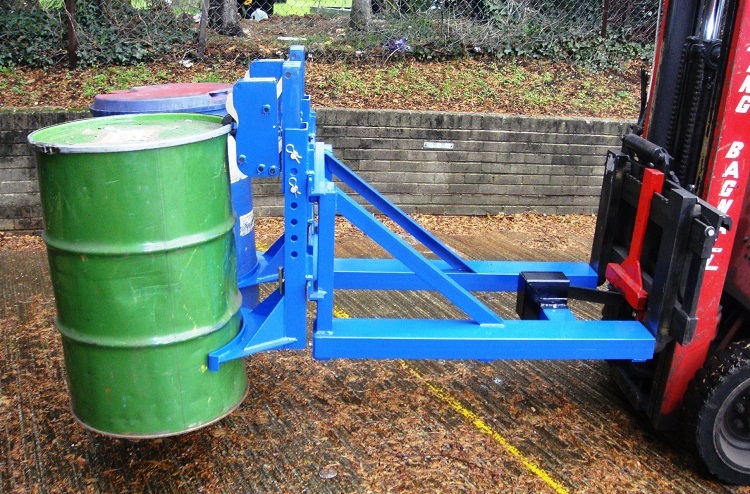 Once attached to the forks of a forklift truck, its steel jaws are designed to grip a drum securely at the rim so that it can be moved safely and quickly. The Grab-O-Matic model 2-DLR double drum handler can quickly and safely load or unload a container of 80 drums in less than 30 minutes. Wear personal protective equipment (PPE) appropriate for the risk. Have two people opening the doors, standing to each side as they pull them open. Use securing devices and crash mats to protect people and items falling out of the container. Unloaders should be trained especially if handling hazardous materials. Inspect items for damage or leaks before moving them. 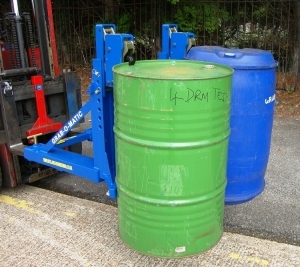 Use appropriate handling equipment for difficult or hazardous items such as drums. 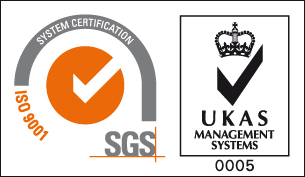 Unload items in a logical and safe order. St Clare Engineering Ltd is a family business. We have been manufacturing a range of specialist, high-quality fork lift truck drum handling attachments under the Grab-O-Matic trade name since 1959 for lifting, moving and tilting drums of various shape, size and weight. We’ve built on a tradition of innovation to develop new fork lift truck drum handling attachments that are quick and simple to fit and release, making operations safer and faster. We supply drum handling equipment to the oil, chemical, logistics and engineering industries globally, from the Arctic Circle to the Arabian Gulf. All components are manufactured in the UK and every unit is fabricated, hand-assembled and inspected at our factory in Eastleigh, Hampshire. Get in touch by clicking on the button below, call us on 02380 643402 or email us directly at sales@stclare-engineering.co.uk to discuss a specific requirement.